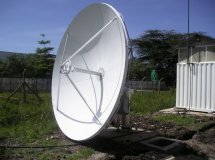 Satellite Internet Kenya : broadband VSAT connection service, satellite TV, wireless broadband internet connection and VoIP service. 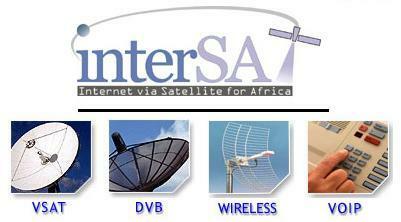 Intersat Africa Ltd (IAL) have offices in Mombassa, Kenya. 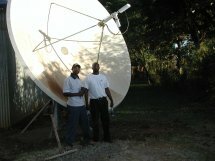 Two-way satellite internet access using VSAT satellite dish. 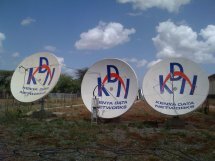 Information about DVB digital satellite TV service and receive only reception in Kenya and surrounding area. Wireless broadband internet connection for Kenya and Africa communities to enable sharing of satellite internet terminals amongst many end users. VoIP connection for telephone calls. Awards: Achievement of the NEWskies GOLD customer award and also Recommended Service Provider status within record time qualifies IAL as the local company of global calibre. A satellite Earth Station operated by IAL coupled with international connectivity through NEWskies is an automatic recipe for success. Head of Network Operations : Emmanuel Macharia G.
I have a wealth of experience in the below fields. 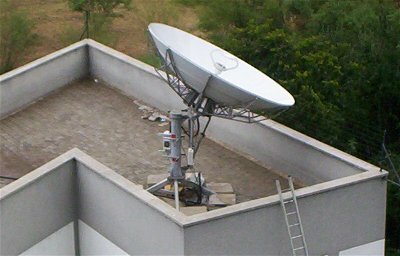 Installation of Satellite dishes ranging from 1.2m to 7.3m. Teleport engineering for VSAT HUBs: iDirect, Satpath Hughes. 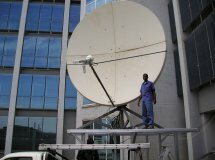 Example 3.7m satellite dish, operating in C band on INTELSAT 906 and used for data transmission between Kenya and China ( Hong Kong), Location: Nairobi, Kenya. 1st Floor, Prosperity House, Westlands Rd. P.O.Box 1015, Nairobi 00606, Kenya. This page incorporates some amended text and images kindly provided and used with the permission of Intersat Africa Ltd and Fred Anyika.